We are really proud and thankful to be awarded as Supplier of the Year 2017 by Swiss WorldCargo! Especially we want to thank Swiss for the trust and close business relationship over the last years. But also, we want to thank everybody within the GEORGI Group who made this possible. The Award got received by Jürgen Georgi, Owner and CEO, Christian Georgi, Head of Marketing and Michel Diehl, Executive Assistant. 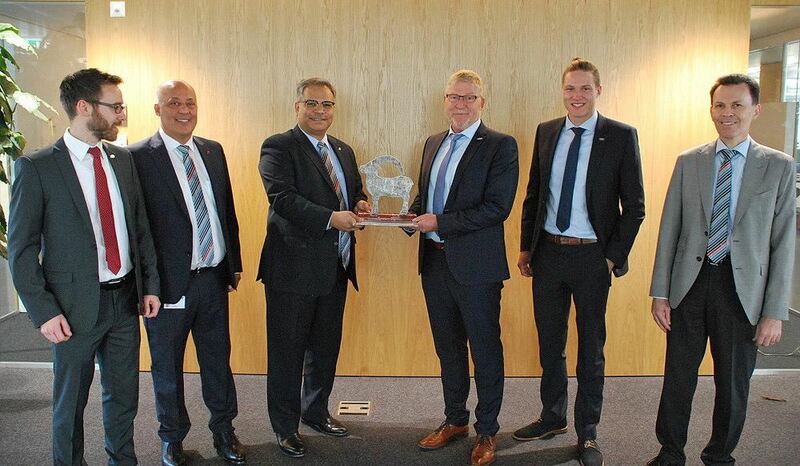 It is an honor for us to receive the Award for our good cooperation with Swiss WorldCargo .